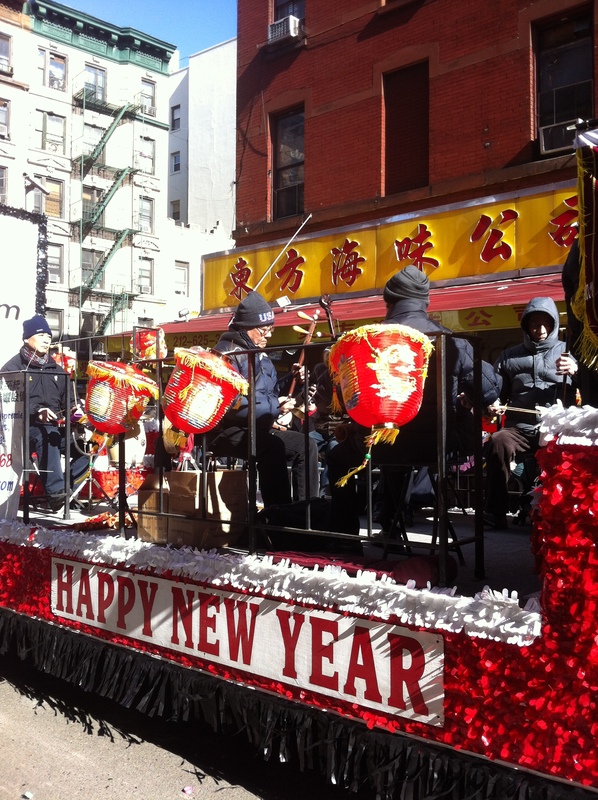 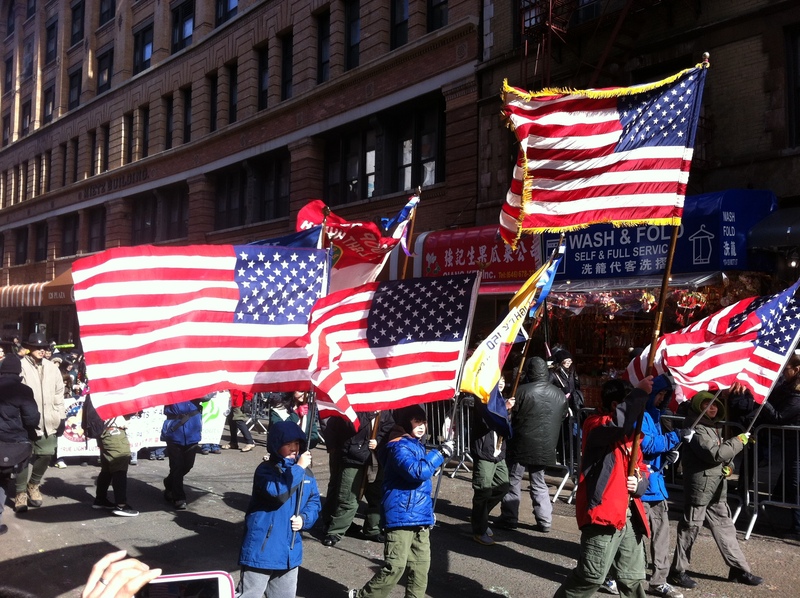 Events celebrating Chinese New Year have been held across New York for a week now (including my dim sum making last Sunday), but today they reached a dramatic, colourful conclusion with the parade. 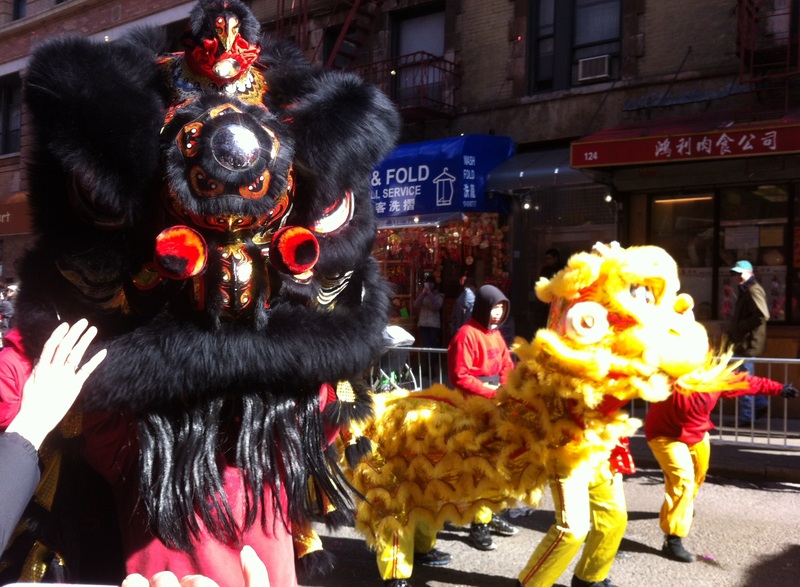 The event was very nearly right on my doorstep. 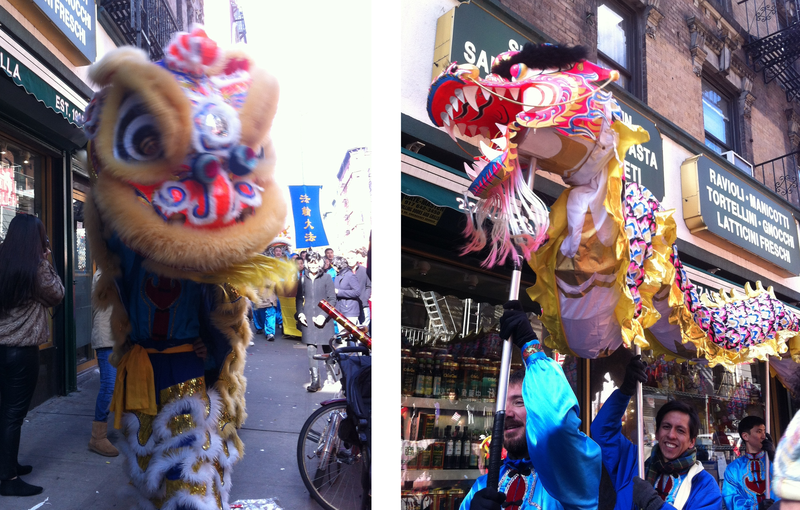 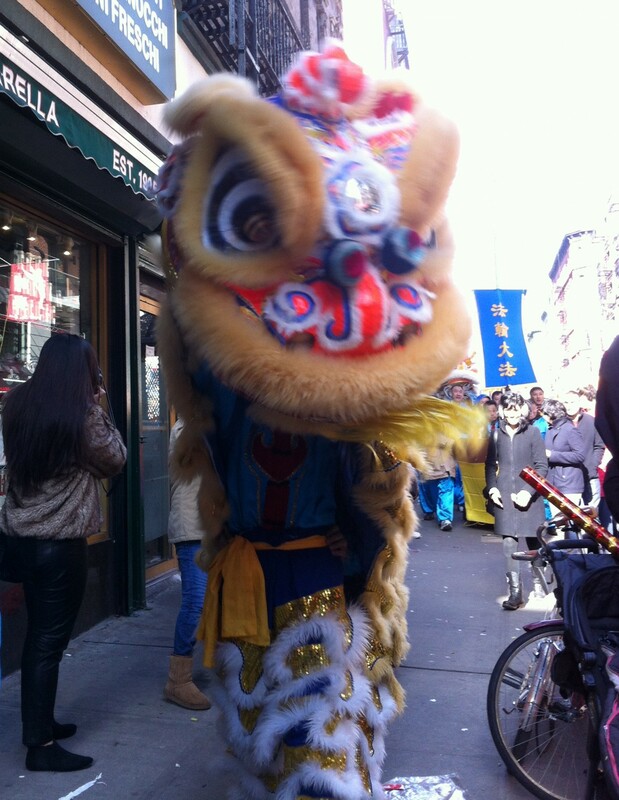 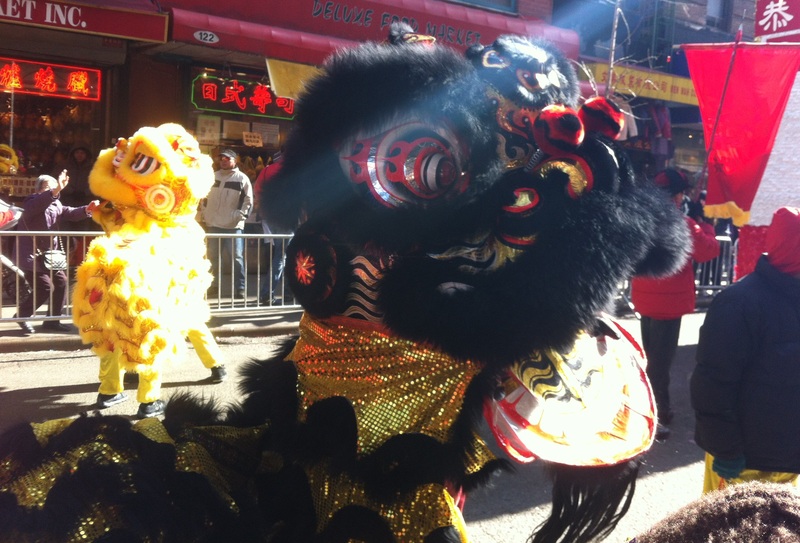 Furry dragons, sequined snakes and lantern-adorned floats left Chinatown, bobbed along Mott Street (parallel to my street) and towards Tribeca as children let off confetti canons and beautifully-made up women waved to families below. 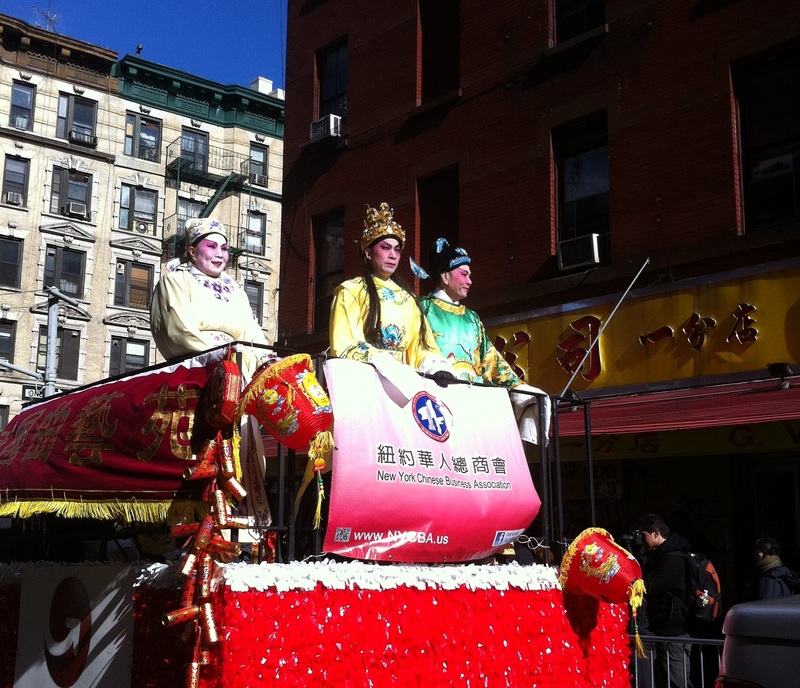 It was then that I decided to do the parade myself – that is, by walking from its stagnant start to its finish. 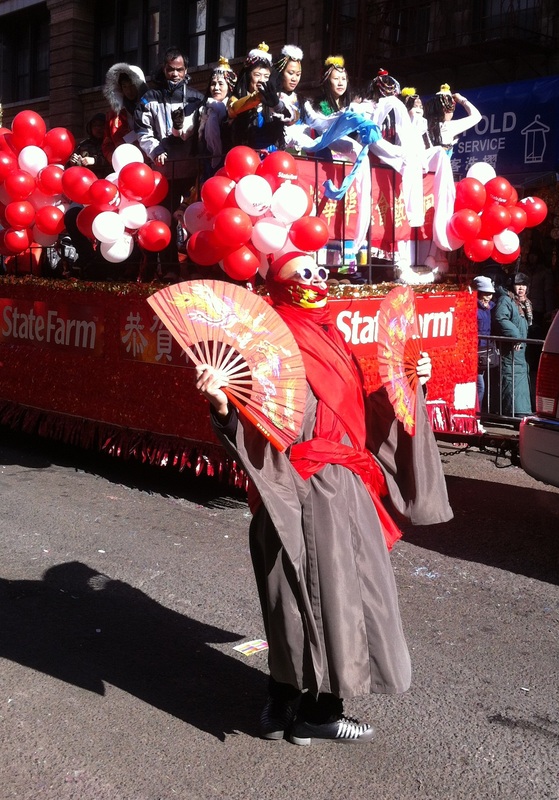 Of course it warmed me back up in no time. 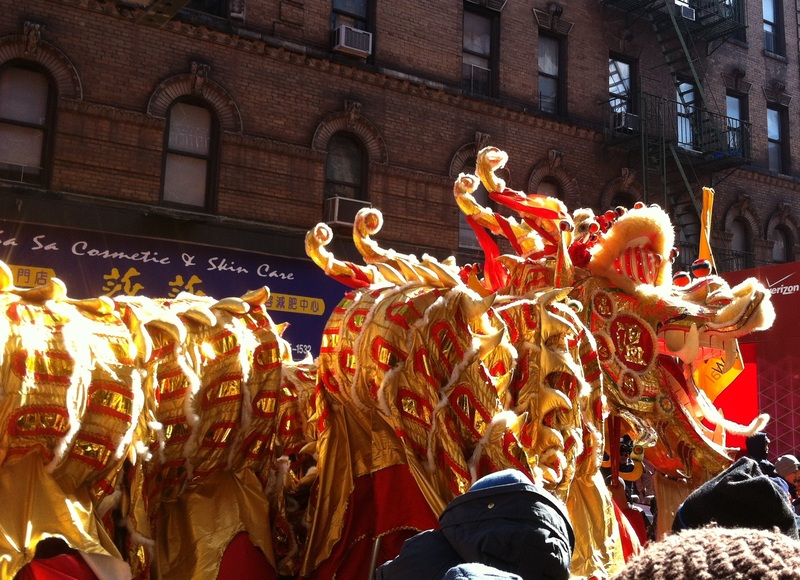 And once again it felt ridiculous that I live here, and just a block away from all this excitement and culture.